Interval ear training exercises improve your ability to judge the distance in pitch between two notes and so much more. It may take a while to master but the long-term benefits are exponential! Wouldn't in be great to have the same superpowers as Dylan? I know, right! 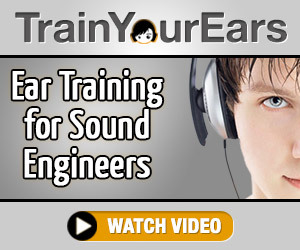 Well, interval ear training won't get you to show off your perfect pitch like Dylan has, but it will get you closer. Think of it as a simple starting point for your journey to perfect-pitch-awesomeness, Dylan style. 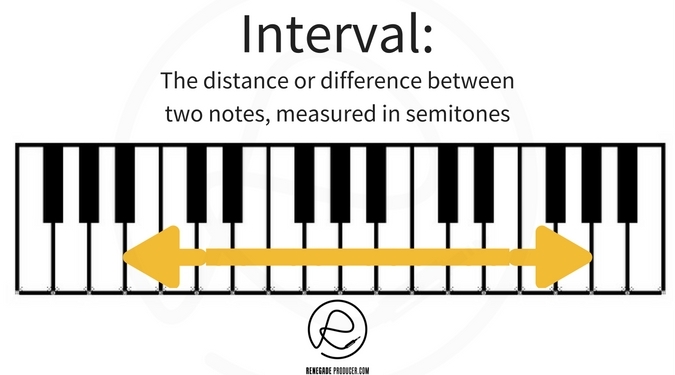 An interval in music refers to the difference or distance in pitch between two notes. Intervals are measured in semitones and tones and serve as the building blocks for scales and chords. Pretty fundamental! Interval ear training is a way to learn to know the sound of the most important intervals. This skill combined with the knowledge of the different interval names and distance in semitones between notes in each interval will improve your craft as a music producer. So what exactly does this ability do for you as an artist or music producer? When I ask you to guess how far apart two objects are in a room you will answer with a number in meters and centimeters or maybe feet and inches. You are able to estimate because you know how long a centimeter or a meter is. You've developed a familiarity with the system of measurement which allows you to judge almost immediately how far apart the objects are from each other. The ability to recognize intervals allows you to do the same but for the difference or distance in pitch between notes. The musical benefits of having this ability are many but for me it comes down to better melodies, faster! Yes, once you're initiated into the art of recognizing intervals you're able to apply this to your own melody writing. You can hear the melody in your head and work out how to play it on a keyboard or draw it into piano roll much faster than by just trying out random notes until you get it. So, it pays to know your intervals! OK, this is all nice to know but the knowledge itself doesn't make any real difference to your abilities as a composer or music producer. You need to first train your ears and nervous system to be able to recognize the sound of the different intervals. 1. Memorize the names of the above intervals and how many semitones you jump in each case. You should be able to give me the name of the interval when I give you the number of semitones. You should also be able to tell me the amount of semitones when I give you the name of the interval. 2. Now, go to your piano, keyboard, keyboard controller or DAW piano roll and play different intervals in different ways to get familiar with the sound of the notes. Play only two notes at a time and start off by keeping them in the same octave on the piano. First the lower note followed by the higher note. Then play the higher note followed by the lower note. Then play the two notes at the same time. Listen carefully to the overall sound made by the two notes as they sound. Reproduce what you are playing on the keyboard with your voice - actually sing the notes. Keep on doing this until you can sing any note and then sing all the intervals up to the octave above or the octave below for that note. See this post over on Reddit for a more detailed description of the process. 3. Now, head over to this great little free interval ear training tool over at musictheory.net and start playing. Two notes will play and then you need to identify the interval and click the right interval button. If this is new to you it may take several guesses before you get it right. Keep playing! You will start to get more and more right sooner than you think. Then see if you can guess the intervals in melodies in different songs. Listen to the first two notes in any melody and guess the interval names. Test it on your keyboard or MIDI piano roll in your DAW. Then, move on to the next note and continue until you've worked out the entire melody. Continue doing interval ear training until interval recognition becomes instant and second-nature for you. Can you create great productions without interval ear training? Of course you can! You will however improve your chances of coming up with great melodies, more easily, when you know your intervals. 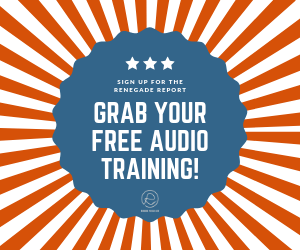 So, you'll notice the benefits even if you spend just 10 minutes a day for a few weeks training your ears to recognize intervals. You and I may not have been so lucky but with persistence and patience we can use various training tools be more super-awesome like Dylan.